Assisted by the From the Ground Up based at the University of British Columbia (www.frogbear.org), the Glorisun Global Network of Buddhist Studies at Oxford and the Longmen Grottoes Academy, the Glorisun Global Network of Buddhist Studies that involves several top universities in East Asia, North America and Europe (http://glorisunglobalnetwork.org) cordially invites proposals for an international conference on “Production, Preservation and Perusal of Buddhist Epigraphy in Central and East Asia” to be held between August 20-21, 2019, at Oxford University, in the United Kingdom. The conference is made possible with generous support from the Glorisun Charitable Foundation, based in Hong Kong. Archaeological evidence from Central and East Asia demonstrates that Buddhist texts were chanted, read, spread, preserved and gifted using a diverse array of media, including paper with handwritten or printed ink, clay, fabric and stone or rock. By the middle of the 6th century in China, editions of the Buddhāvataṃsaka (Huayan jing 華嚴經), Vajracchedikā (Jin’gang jing 金剛經), and Vimalakīrtinirdeśa (Weimo jing 維摩經) sūtras had been carved in stone in Shanxi, Shandong, and Hebei provinces. 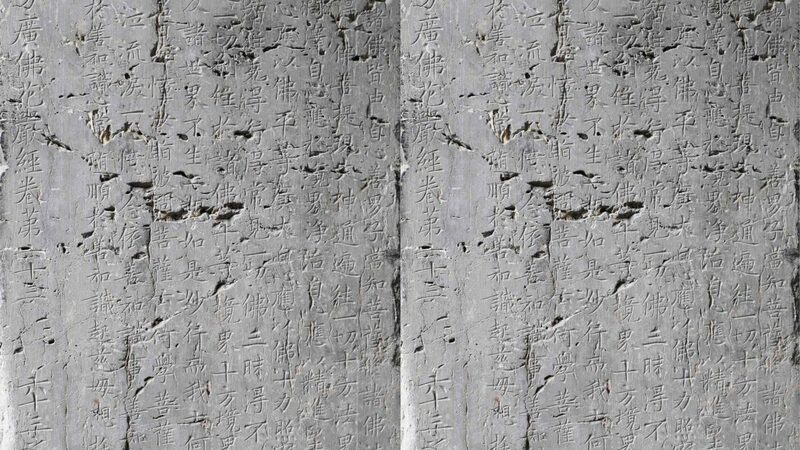 At perhaps the best-known site, Yunjusi 雲居寺 in modern Beijing, caves were excavated during the early 7th century in Fangshan 房山 county, where slabs inscribed with Buddhist scriptures in Chinese were safeguarded; carving scriptures here continued into the 18th century. 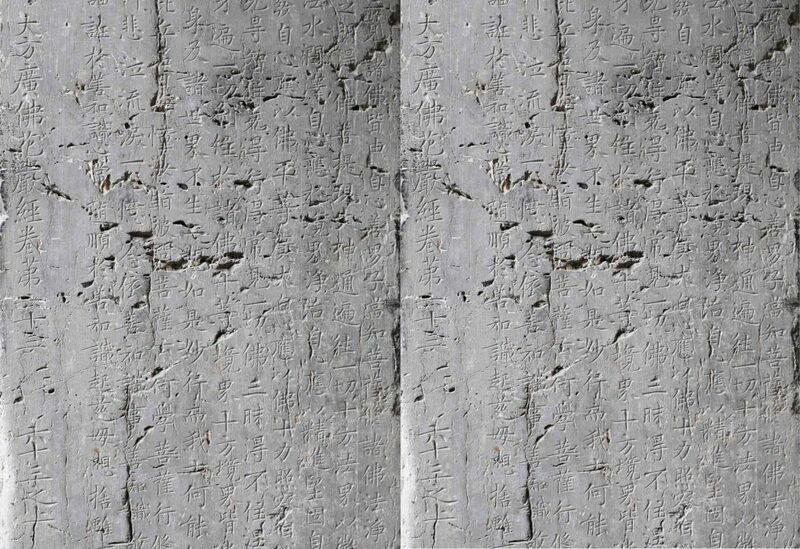 A stone edition of Śikṣānanda’s 實叉難陀 (652-710) 80-roll retranslation of the Buddhāvataṃsaka into Chinese was cut into rock at the Jinci 晉祠 in Shanxi in 688; we are still uncertain about what edition was engraved at Hwaŏmsa 華嚴寺 in Korea before 725. Scriptures set in stone or inscriptions about nearly all aspects of the Buddhist religion across Central and East Asia in many languages require scholars to reconsider not only how we think about the spread of Buddhist texts and collections, and religious teachings, but also the production and safeguarding of Buddhist texts and books across a broad geographical and chronological span. This conference explores the trans-cultural, multi-ethnic and cross-regional production, protection and uses of premodern Buddhist epigraphy in Central and East Asia. Any other stone and bronze inscriptions related to Buddhist ideas and practices in the course of spread from Central to East Asia, especially funeral and memorial epitaphs dedicated to Buddhist eminent figures, both monastics and laypeople. The organizing committee welcomes paper proposals related to any aspect(s) of the multidisciplinary, inter-cultural, and cross-regional study of Buddhist epigraphy in Central and East Asia. All conference-related costs, including local transportation, meals and accommodation during the conference period, will be covered by the conference organizers, who—depending on availability of funding—may also provide a travel subsidy to selected panelists who are in need of funding. Please email proposals and CVs to frogbear.project@ubc.ca by March 31, 2019. A conference volume will collect all the papers in English, plus the English translations of several papers written in non-English languages; a Chinese volume, to be published in China, will include the Chinese versions for all non-Chinese papers in addition to those papers contributed by our colleagues based in China. Only scholars who are confident in finishing their draft papers by the end of July and publishable papers by the end of 2019 are encouraged to apply. This conference is planned as part of our annual Intensive Program of Lectures Series, Conference/Forum, and Fieldwork on Buddhism and East Asian Cultures (this year to be held at Oxford), sponsored by the UBC SSHRC partnership project of Buddhism and East Asian Religions (www.frogbear.org) and the Glorisun Global Network of Buddhist Studies. Interested graduate student and post-doctoral fellows are welcomed to apply for the whole program (details to be announced separately).